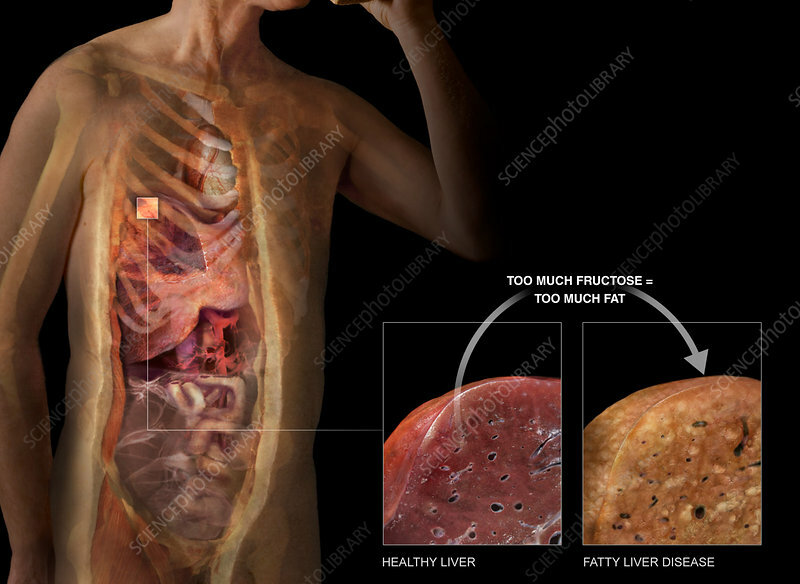 Medical visualization showing a view into the abdomen as well as an inset comparing the appearance of a healthy liver and a liver affected by fatty liver disease. Foods that are high in fructose are also high in fat, thus eating too much fructose can build up fat in the liver. Too much fat in the liver will negatively affect this organa's capability to cleanse the body of toxins and aid in digestion. Fatty liver can lead to a variety of health conditions such as diabetes and high cholesterol.